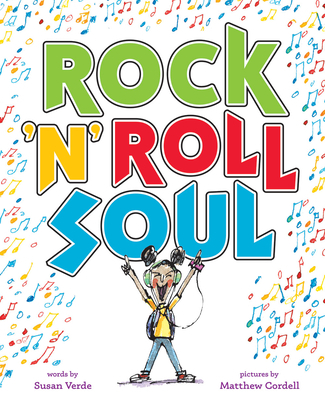 Susan Verde, "Rock 'n' Roll Soul"
With the school talent show coming up, a young music lover spends most of her time daydreaming about the perfect act. Susan Verde is the author of The Museum, You and Me, I Am Yoga, and My Kicks. She is a licensed yoga instructor and lives in East Hampton, New York. Matthew Cordellis the author-illustrator of many children’s books, including Wish, Dream, and, most recently, Wolf in the Snow. He lives outside of Chicago. If you're unable to attend the event and would like a signed copy of Rock 'n' Roll Soul, please purchase the "Signed" version below.